Ravindra was apparently untraceable after his ticket was chosen. He was finally tracked down in India, where he was on a pilgrimage but, as you can clearly see, organisers were having a tough time trying to send him the all-important message. 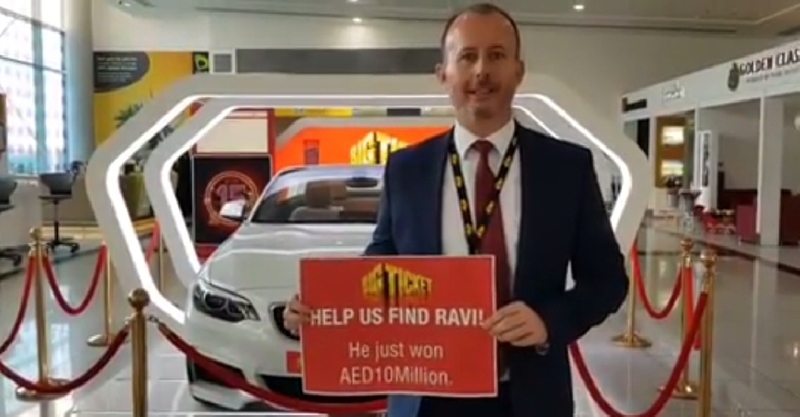 Ravindra will apparently return to Abu Dhabi on May 3, when he will get a chance to claim his prize in a grand reception at the airport.